In sheet 2, in column pricelist, the below data is there. I want the summary in sheet 1 to have the same. I have used index and match but it is not working. When I do the vlookup and try to multiply with 1 it is showing an error. I don't understand how to make the change. 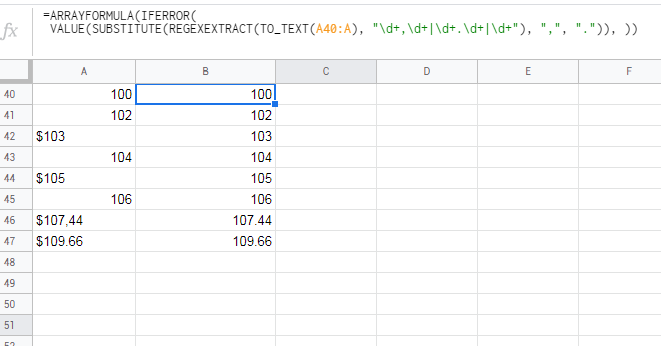 I have used this formula to convert text to numbers, but if the cell has a number format then it is showing an error. Not the answer you're looking for? Browse other questions tagged google-sheets formulas google-sheets-arrayformula regex regexextract or ask your own question.